ibisPaint X ver.5.5.11 for Android are now available. ibisPaint/ibisPaint X ver.5.5.0 is now available. 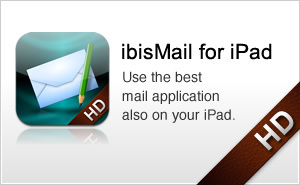 ibis Paint/ibis Paint X ver.5.1.11 for iPad/iPhone/iPod touch is now available. ibis Paint X ver.5.1.8 for Android is now available. ibis Paint X ver.5.1.7 for Android is now available. ibisPaint/ibisPaint X ver.5.1.4 for iPad/iPhone/iPod touch is now available. ibisPaint X ver.5.1.2 for Android is now available. ibisPaint/ibisPaint X ver.5.1.2 for iPad/iPhone/iPod touch is now available. ibisPaint X ver.5.1.1 for Android is now available. ibisPaint/ibisPaint X ver.5.0.4 for iPad/iPhone/iPod touch is now available. ibisPaint X ver.5.0.2 for Android is now available. ibisPaint/ibisPaint X ver.4.3.1 for iPad/iPhone/iPod touch is released. This update fixes the bug of Symmetry Ruler. 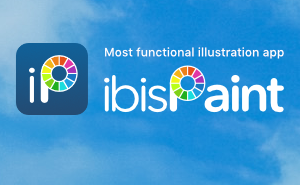 ibisPaint/ibisPaint X ver.4.1.3 for iPad/iPhone/iPod touch released. Please update ibisPaint/ibisPaint X to ver.4.1.3 if you use iOS 10.
ibisPaint/ibisPaint X ver.4.0.2 for iPad/iPhone/iPod touch released. ibisPaint X ver.4.0.1 for Android is released. ibisPaint X ver.3.7.0 for Android is released. ibisPaint/ibisPaint X ver.3.6.2 for iPad/iPhone/iPod touch released. ibisPaint/ibisPaint X ver.3.6.0 for iPad/iPhone/iPod touch released. 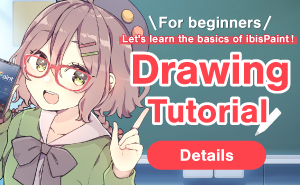 ibisPaint X ver.3.4.2 for Android is released. 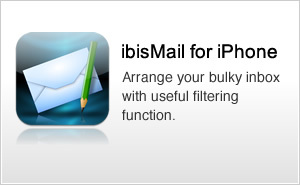 ibisPaint/ibisPaint X ver.3.2.0 for iPad/iPhone/iPod touch released. ibisPaint X ver.3.2.0 for Android is released. ibisPaint X ver.3.1.12 for Android is released. ibisPaint ver.3.1.6 for iPad/iPhone/iPod touch released. This is a bug fix release. ibisPaint X ver.3.0.3 for Android is released. ibisPaint X ver.3.0.6 for Android is released. ibisPaint X ver.3.0.3 for Android version is released. ibisPaint X now supports Android 4.0 except uploading art works. This update fixes the buf of ver.2.8.0. We're sorry for inconvenience.